In 1811, in the Louisiana Territory that would eventually become Missouri, a terrible earthquake hit, the earth ‘undulating like the ocean’. The Mississippi rose in thirty foot waves, every building was raised to the ground, whole towns were swallowed up. The much smaller earthquake that hits St Louis in 2009 at the start of Curtis Sittenfeld’s novel, Sisterland, does nothing more than rock the house briefly where Kate lives with her husband and two children, toddler Rosie and baby Owen. Kate’s husband, Jeremy, is a geologist at the local university, and so she has information on hand as well as his usual loving support. As the whole family settles back into bed, Kate has for once a feeling of security quite unlike her quotidian churning anxiety. For Kate is a supremely nervous person, and the minutiae of motherhood, the constant vigilance that mothers are required to exert over their children, serves only to ramp up her concern. In this brilliant portrait of uneasy motherhood, Sittenfeld never lets us forget that anxiety and vigilance go hand in hand, and that each magnifies and reinforces the other, a cultural curse on those who are responsible for the young. This small incident might have passed over barely noticed, except that Kate’s twin sister, Vi, starts a media storm by appearing on the local news predicting a serious earthquake in the near future. Vi is a professional psychic, something that Kate finds an appalling embarrassment. Growing up, both sisters had ‘the senses’ as they were termed in her family, but Kate has renounced that part of her life. She was christened Daisy, and in early adolescence got caught up with the powerful girl in her class (Sittenfeld is reliably wonderful on the awfulness of adolescent politics) and a ouija board. What happened then was probably no worse than the average teenage fallout, but for Daisy, as she was, the whole incident is mortifying, the scorn and humilation an experience that scars her deeply. This is the sort of girl that Daisy was and that Kate still is – over sensitive, easily freaked, too thin-skinned, helplessly insecure. Her sister, Vi, has always been the one with all the attitude. Vi doesn’t give a hoot what people think and acts like she hasn’t a care in the world. But Vi’s carefree chutzpah doesn’t come without issues; she can neither hold down a decent job nor find a relationship, and she is a magnet for trouble. Daisy grows up into Kate, a woman who feels too responsible for everyone else, and Vi doesn’t really grow up much at all, utterly unconcerned by responsibility. As soon as Vi has made her dramatic pronouncement on television, Kate finds herself drawn into an awkward conflict. Her husband’s colleague, Courtney Wheeler, has appeared in the same segment, trying to assure the populace that science believes no one is at risk. Kate is torn between loyalty to her husband’s scientific point of view, and the hypnotic lure of her sister’s, perched on the edge of a typical kind of resentment: whilst she can distrust and criticize Vi, she can’t bear anyone else to do so. Kate’s best friend is Courtney’s husband, Hank, a black stay-at-home dad with whom she spends most of her time. Siding with Vi will threaten Kate’s most significant relationships, but Kate can’t quite leave the situation alone. Desperate to control her sister’s behaviour (ridiculous as this desire may be, it’s an urgent one), and in thrall to a prediction that her own experience knows may well be true, she ends up convinced that October 16th will be the date of the earthquake. Inevitably a sort of panicked countdown begins in her life towards a day on which the ground beneath her feet will move, but not at all in the way she imagines. 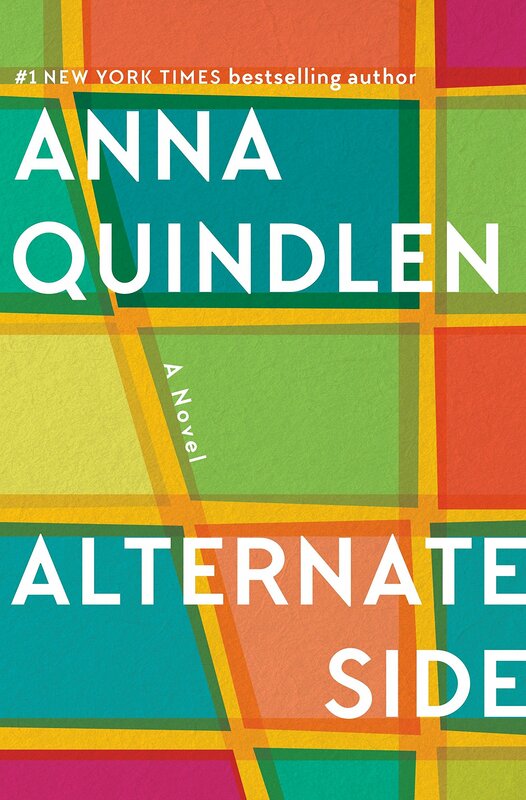 Sittenfeld’s cleverness in this novel is in her representation of psychic abilities as something quite banal and vague, a sense of the future that comes of its own accord, not necessarily when pressed. She offers enough in the back story of the sisters to make the possibility of psychic powers seem plausible, and enough uncertainty in Kate’s own story for plenty of doubt. In particular, she shows how the notion of being psychic may be the fertile offshoot of feverish anxiety working with a lively imagination. Kate has so many worries that she does not know what is foresight and what is nervous funk. Her narrative, embedded with the endless minutiae of caring for small children, is set against a backdrop of potential calamity, the strange sense mothers have that the daily grind of feeds and sleeps can so easily be shattered by the sudden accident, the sudden illness, the unexpected stranger. The gap between the smallness of life and the huge potential for lurking disaster is so very hard to negotiate in that stage of motherhood (I remember it well), and it torments Kate. Kate’s fraught good girl persona plays off against Vi’s happy-go-lucky carelessness, and I began to read the sisters as embodiments of the two major attitudes that culture, essentially in the form of the media, thrusts onto people. There is the fear and dread that comes with the constant titillating alarm that we are always at risk in ways we barely understand, and then there is the positive, self-centred, grab-life-as-it-comes attitude which is seen as some sort of sensible antidote. Sisterland shows how neither is particularly healthy. But the twist in the ending made me wonder whether incarceration in the land of being good doesn’t inevitably bring about its own implosion, the lure of the dark side will always erupt eventually, bringing with it trouble that can only be staved off for so long. And one thing we can be certain of: when trouble does come, we will never be looking in the right direction. I loved this book, as you can probably tell, a clever, slyly insightful meditation on the culture we’ve created, hypnotised by the possibility of risk and disaster. 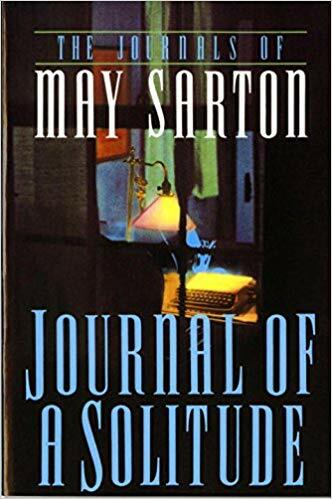 I loved this novel, too; I think one of the aspects of her work that I so enjoy is realizing that there is a lot at work beneath the surface and simultaneously knowing that you could simply float across the story as a reader or delve below if you choose. I wasn’t expecting the story to unfold as it did, and the sheer simplicity of that eruption seems to fit perfectly in hindsight. That is a fantastic way of describing Sittenfeld’s style, I couldn’t agree with you more! And yes, I wondered where on earth we were going at the time of reading, but then, as the story progressed it seemed amazingly clever. I’m so glad you enjoyed it too! Great review and another book to add to my wishlist. Thanks. I loved this novel as well. It was the first of Sittenfeld’s books that I’ve read and I really have to find time to explore her back catalogue. Do you have any suggestion as to what would be the best one to read next? I agree with Charlotte that American Wife is excellent. But at the same time I wonder whether Prep might not appeal to you just as much because it’s set in a school and concerns the trials of adolescence. 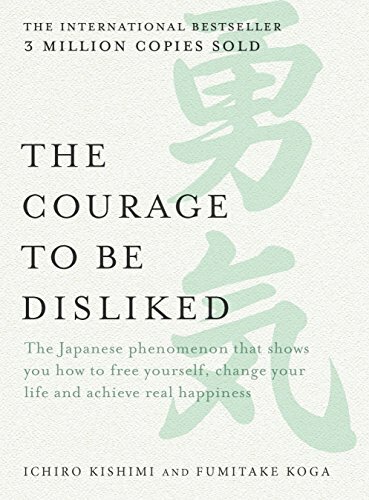 I loved your review of this, and it’s so nice to be in complete accord over a book. It was such a good, intriguing novel. Great review! I thought American Wife was so interesting, but I hadn’t heard much about this one. Now I think I’ll give it a try. It’s definitely worth a try. I will look out for your review if you do get to pick it up! Never resist the lure of the dark side! This sounds fascinating. I was, of course, one of those nervous mothers. Right now I am nervous because we’re on a 1200 mile drive to take my daughter back to college. Jeanne – I would be catatonic in your situation. Nerves are perfectly acceptable on a 1,200 mile drive to return a child to college! I do hope it all went splendidly in the end. I love Sittenfeld and was looking for my next read – just found it! To Alex above, American Wife is fabulous. I am sure you reviewed it too, Litlove. I did indeed and am in complete agreement with you! I loved American Wife. This is very different, but just as good. I’d love to know your opinion when you’re through. Hm not sure whether this would be my cup of tea – the aspect of the personal dilemma and conflicting tugs of loyalty appeals but I don’t think I could get through all the psychic stuff. Well, I found that part was handled very cleverly, but of course some topics just don’t sit well and that’s all there is to it. Another author I’ve heard good things about but not read yet. I like the sound of the way she explains (even if vague) the psychic element, that appeals to me a lot. Ooh I want you to read this now as I’d really love to know what you think! 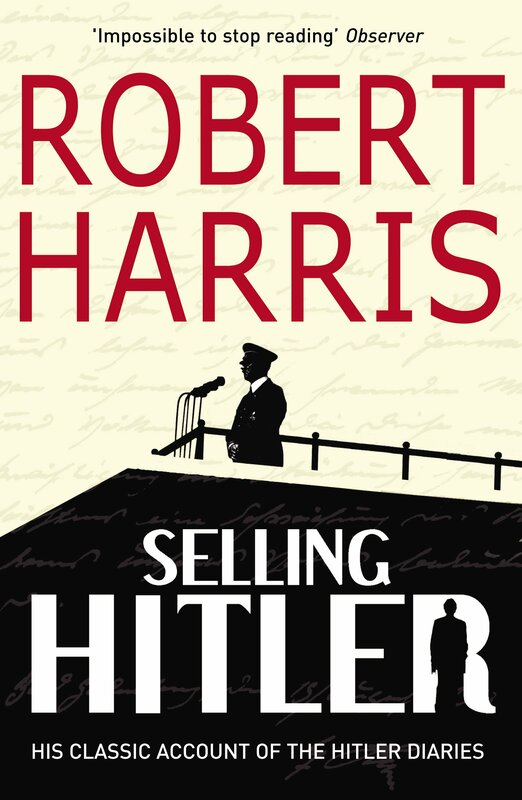 I love it when you write about books like this and in the manner you always do–sort of a story within a story–if that makes any sense (since you bring it all alive). I have yet to read Curtis Sittenfeld. Her books always ‘sort of’ appeal to me, but I never seem to bring myself to pick up any of them (I think I own Prep only), but you always make me want to pick up her books right now…. 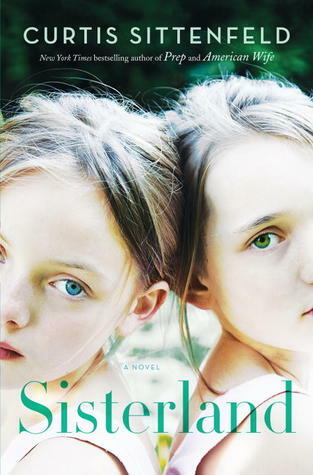 Sisterland was not one I thought I wanted to read, but now I am going to add it to my wishlist! It sounds like a big juicy story to sink your teeth into. I’m not sure if I would like this although, unlike others, I never doubt that being psychic is a reality (the source may be debatable but the fact, in my experinece, is undeniable). I’m tempted to give it a try. I would be very intrigued to know what you thought – and particularly of the way she handles the psychic dimension of the plot. She’s a very intelligent writer and I think that part of her work would appeal to you. Now Lars von Trier is one of those directors whose films I keep telling myself I ought to watch (probably destroying the real desire to do so). And then I fear them being too gloomy. What was the one with Nicole Kidman in? My son saw that and was hugely impressed. But your comment is the first time I find myself perked up with interest about seeing one of his films, if you know what I mean! I’d be really interested to see how a similar plot unfolds. Ooof, I don’t know which one Nicole Kidman was in, I have to say this is the only LvT film I’ve ever (knowingly, I have a memory like a sieve) watched and – sorry Lars – I missed the beginning and also the end. ‘Gloomy’ is definitely the word here. Although a bit of Wagner kept playing whenever the blue planet hove into view, which began to make me giggle a bit. And the planet is called Melancholia, which is perhaps a little clunky. Still, I’d like to watch it again and properly, so there you go. Sounds like a fun read! The dark side is so very alluring to those imprisoned by good. They can never just dip in a toe but jump in up tho their chins. Glad you enjoyed the book so much!